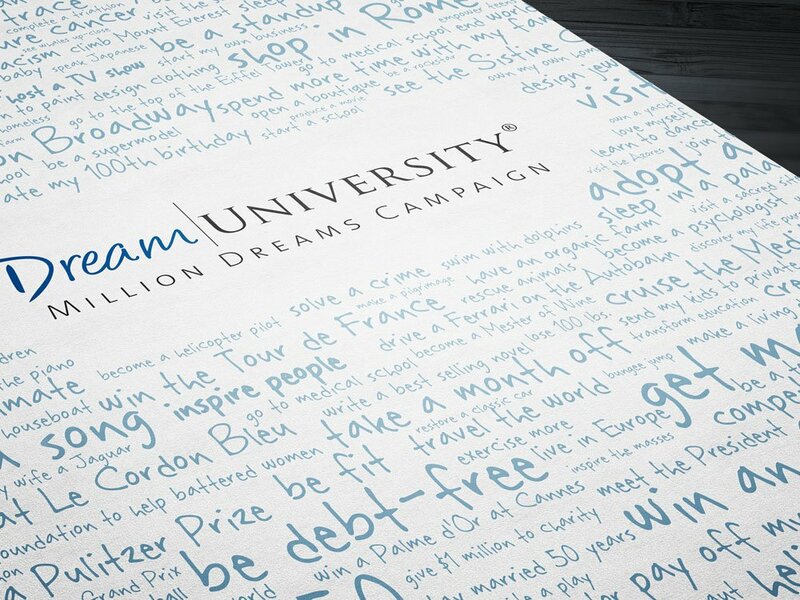 Million Dreams Campaign is an initiative I conceived for Marcia Wieder, CEO and Founder of Dream University. 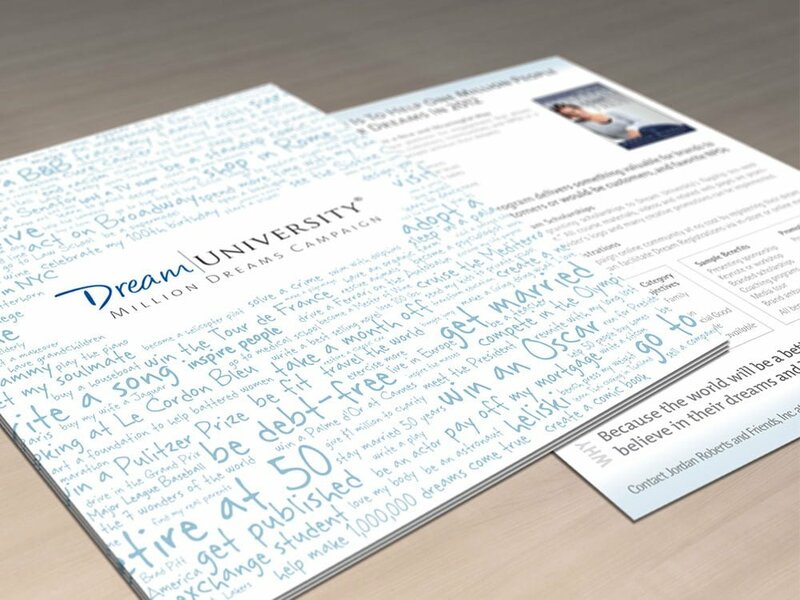 Marcia is a top-rated keynote speaker and bestselling author of Making Your Dreams Come True. 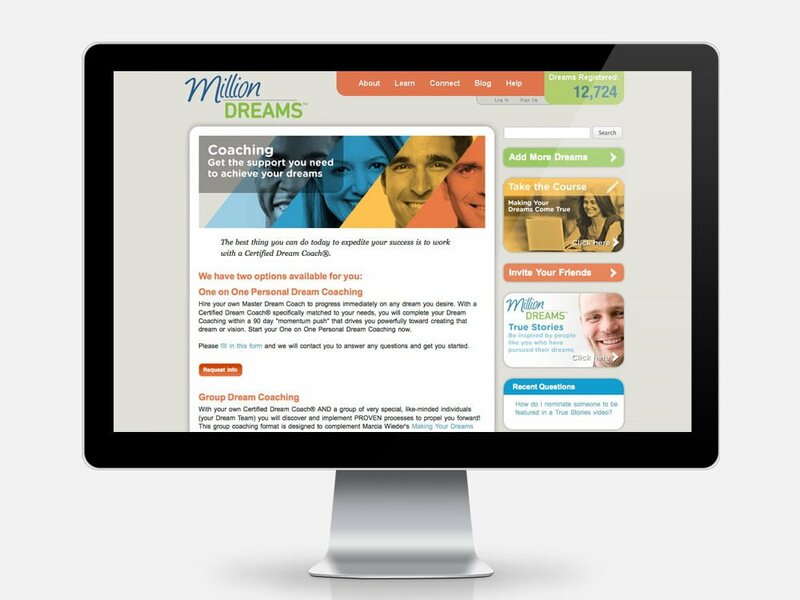 My work included developing a sponsor program and designing a custom social network focused on helping people achieve their dreams. 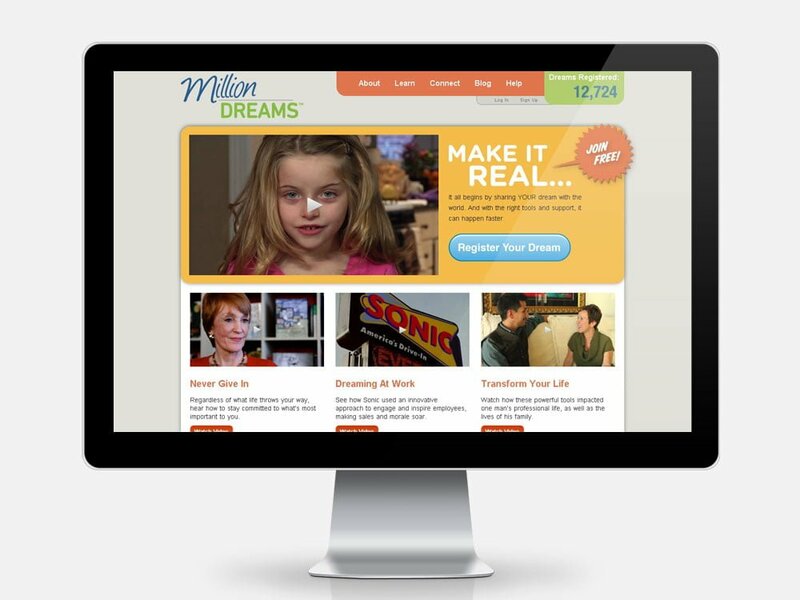 The Million Dreams logo and home page were designed by brand architect, Chris Collins. 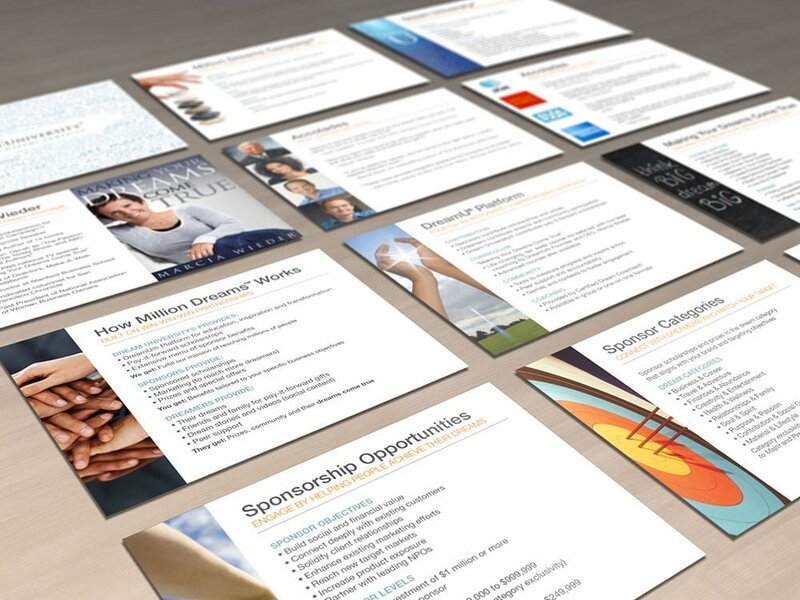 I designed the dream cluster and collateral materials for the sponsor program. 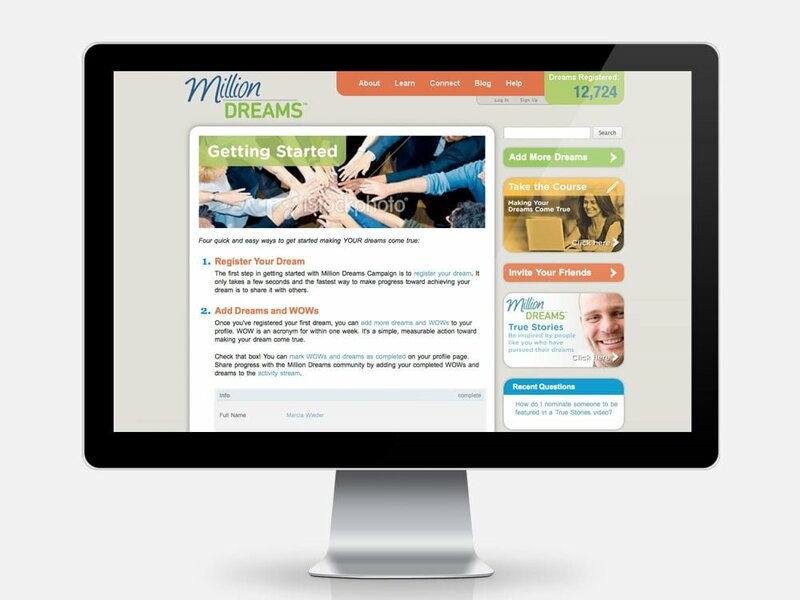 When creating the site specs, I worked with Dream University’s CTO, Patrick Wyzorski, to ensure that their back end needs were met and the new site would integrate well with the Infusionsoft CRM. 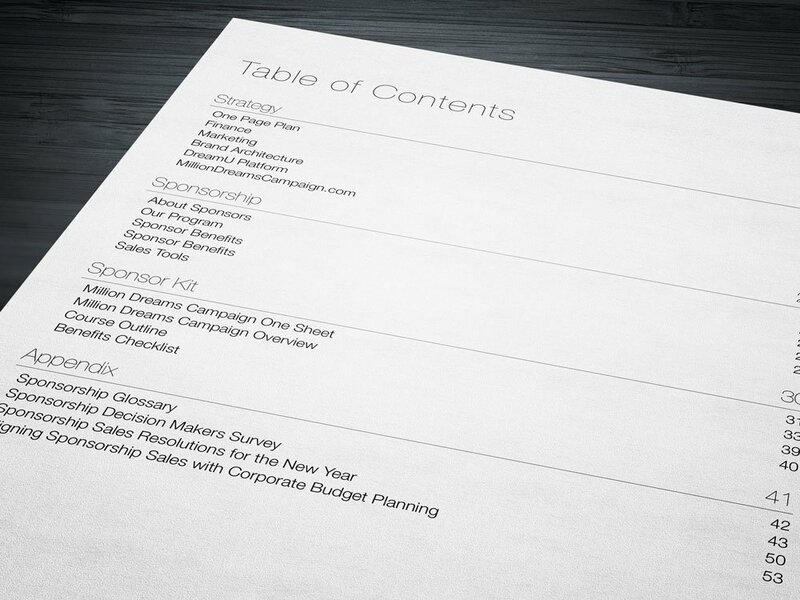 We selected Brent Lievsay’s agency, Vividminds, as development partner. I worked closely with their team, assuming the role of producer and creative director, to develop the interface details and interior pages. 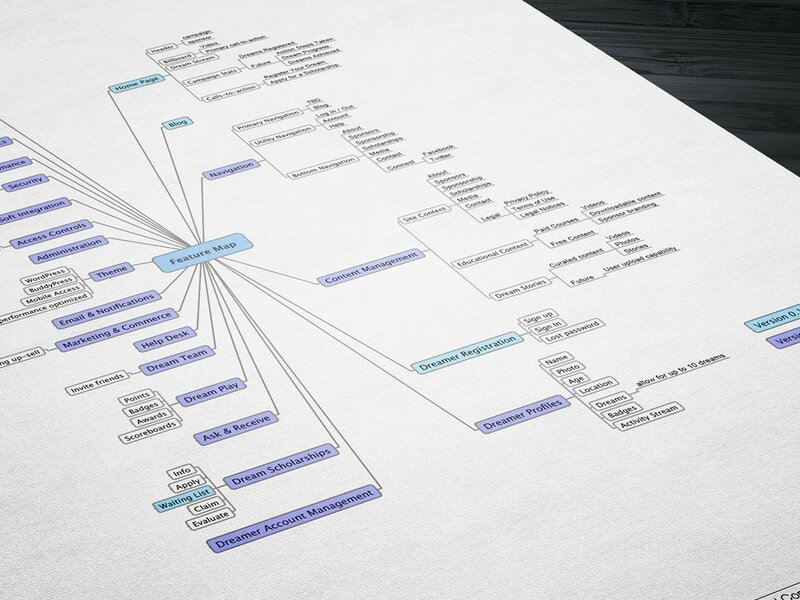 Since we were on a very tight timeline, I also helped with administration, QA testing, debugging and content development. 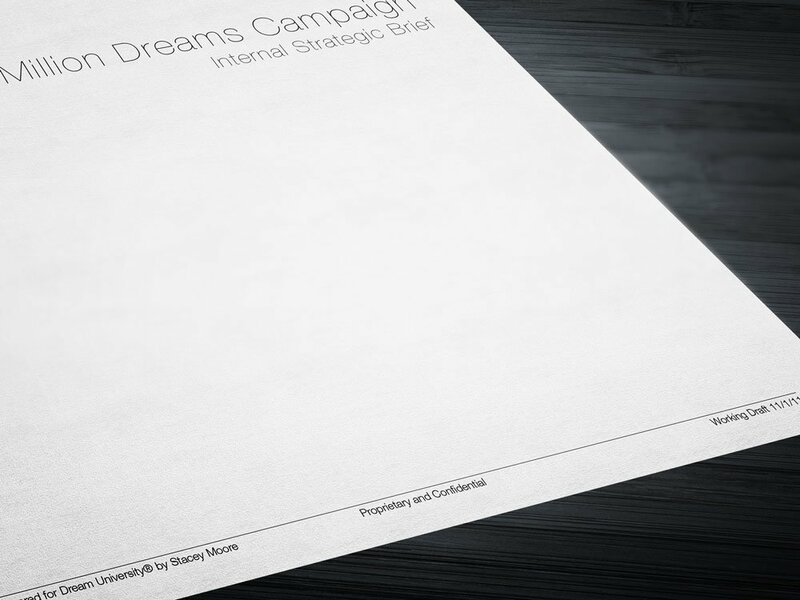 The project was completed on time and on budget, meeting its launch date. Collaborating with lead programmer, Sean Moe and lead designer, Kevin Evans was a pleasure and I hope to work with Vividminds again.